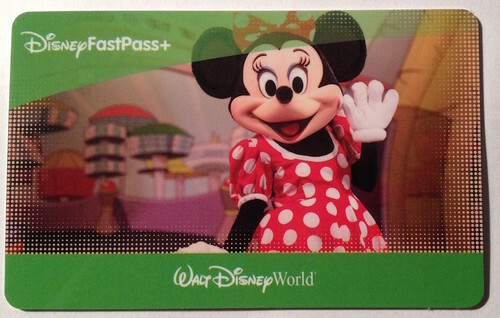 I've been saving for a guild trip to Walt Disney World this coming October. 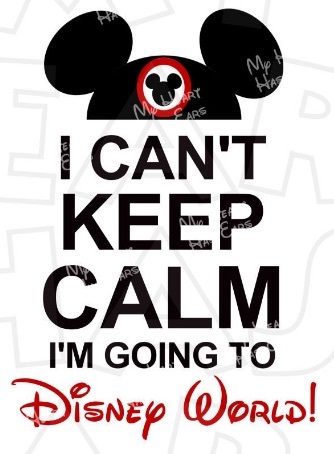 As of today, it's 132 days until I'm in the air on my way to Orlando. It hasn't seemed real until May. Finally, Mickey's Not-So-Scary Halloween Party dates and tickets released. This was, kind of, the big reason we chose to go in October. It's pricey, particularly to our overseas guild mates. But, there was sheer joy when I got a letter from Lake Buena Vista, Florida. There it is. My ticket to the Halloween party. This one plastic item caused me to really ramp up the collection of things. The next thing was to order this bag I'd had my eye on. When I went to Disneyland in 2015, I wanted to pare down all the stuff I carry to a small handbag; a wristlet, is what it's called. I love this bag. I use it exclusively now. It fits in the glove box or under the seat or in the well between the seats. Everything I could use fits in it. But, DisneyWorld requires a different strategy from Disneyland. The sheer size of the park means I need to carry more things. Building on the lessons learned from the Land trip, I need a portable phone charger. My phone and my digital camera wore down with all the picture taking. 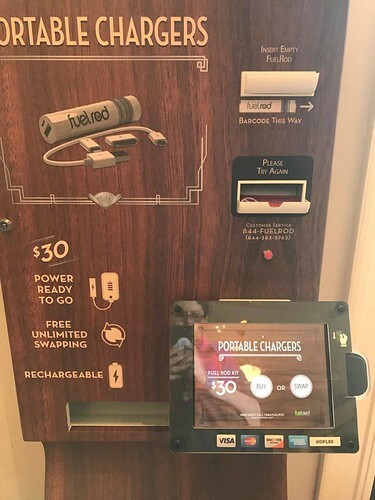 Disney World has portable chargers for sale. But I felt I should do my research and get one before I got there, mainly to figure out how it works. Thankfully, one of the tech sites I frequent had a recommendation AND a coupon code. Viola. The $20 phone charger the same size as my ancient iphone. It takes an hour to charge the phone to full when it's less than 40%. It take 10 minutes to charge the charger, when it's 50% or greater. I'm going to need a water bottle. I can't duck out of line to get water and I don't want to pay $3.50 for a bottle of water. Staying hydrated is going to be important. But my little blue bag certainly can't hold a water bottle or this charger. Then, I had this thought; when I made dinner, lunch and breakfast reservations back in April. There will be times when I'll be standing or sitting; waiting for whatever is next; i.e. our table to be ready. I need to bring a paperback book with me. I read everywhere. The blue purse certainly can't hold that. I don't read books on my phone. I prefer the joy of flipping pages. I was now into large purse territory. I am not carrying a backpack. Disney searches ALL bags and they pay particular attention to backpacks. 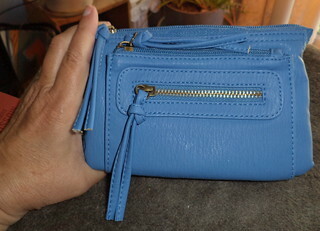 My little blue purse makes it easy to see exactly what I have with me. I need something bigger. Four years ago, I bought a leather purse with a Celtic emblem on the front. I looked at that purse. While I like it, I've always had issues with the interior pockets. Getting stuff out was a chore. This wasn't the right purse for Disney. I looked into just a large "beach bag" with a zipper top. No. That didn't appeal to me at all. 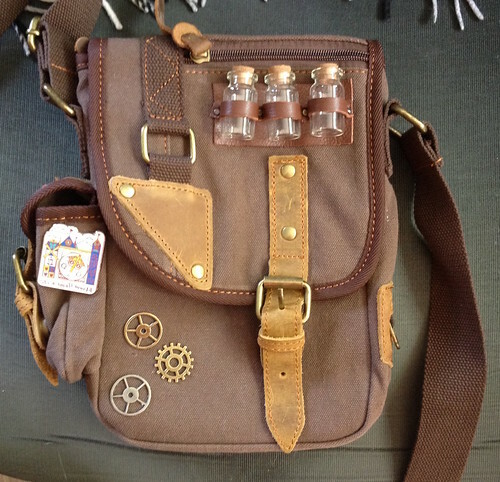 Then I got a catalog in the mail and there was this steampunk "shoulder satchel", they called it. Now THAT was something I could get behind. Weird and funky and just the right size. Plus, it wasn't too big that I might be tempted to bring everything with me. 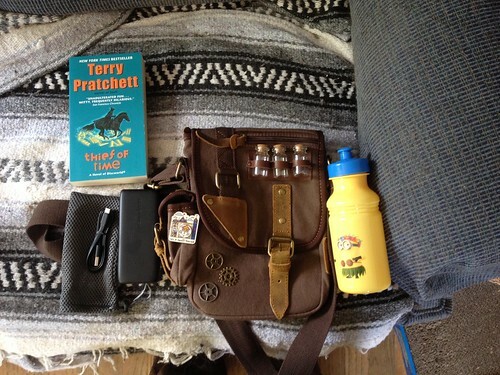 We have this list of items people on various web sites have said are worth bringing with you. You would need a backpack to hold it all. One of my friends goes with her mom to Disney and the problem with her mom's backpack is, invariably, what mom wants has fallen into the bottom of the backpack. It takes her 10 minutes to find wet wipes. I am not going to be "that person" in the group. The purse was $70. That's kind of pricey for something I might not use again. And then I thought, "Who are you kidding? You're going to be buying all sorts of things you'll only use for this vacation." I started searching "steampunk purses". Double viola. The pin, to the left, is a Christmas gift from Liz. That's the Small World facade. I wanted canvas and a sturdy strap because, while I don't collect pins, I will buy a few as souvenirs. The purse itself, is canvas with probably cardboard(?) or some other thing in the flap, front and back, to give it bulk and to hold shape. 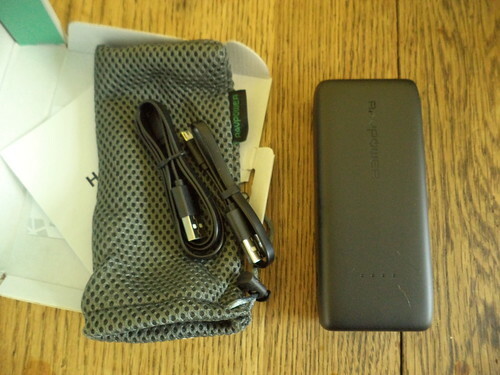 The side pocket is too small for a cell phone, but will be perfect for pens or other small items. There is the small top pocket and a zippered pocket on the back and one inside. Otherwise the interior is open. The three bottles on top will be filled with glitter and glued shut. In the game, players have status bars which increase or decrease based on what they are doing. Health is red. Mana, which can be thought of as the essence needed for spells, is blue. Hunters, which is what my main is, use focus, which is an orange red. This handmade booklet is a take-off on the in-game achievements available to players. Liz and I spent months, going back to her trip to Disneyland in November, coming up with "achievements". 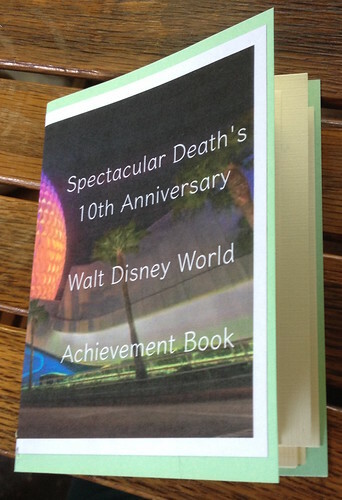 The first one, "Attend Spectacular Death's 10th Anniversary Disney World trip", is done. Every guild member and family member going with us, got a book. Most of the achievements are completed by taking a photo of something. Then, you show me the photo and I'll put a sticker on the page. After receiving my Halloween party ticket, I spent two weeks printing, cutting, folding and stapling books. They have all been mailed. I was going to pass them out when I got there, but we're coming at different times and I know I'd want to have it sooner so I can plan where to go to do the most achievements at once. I'm going to try to do every achievement in the book. We came up with some which can overlap others. "Take a photo of Mickey. Double sticker if you're in the photo." can be combined with "Take a photo of a character not in their usual costume", because we're going to a character breakfast in the Animal Kingdom and Mickey, Minnie, Donald, Goofy and Daisy wear tour guide outfits. I took the car in for an oil change and tire rotation and I'm going to need to replace the brakes. There is a sale at my mechanic where I can get $50 off new brakes. I sighed on the way home. How can I save when I need something important like this? It's not like I don't have the money, but it's spoken for. I decided I had better pay for the vacation so I know what I have to save for. That was done Friday. Disney has acknowledged receipt of payment. The only thing left is airfare and the travel agent is watching those numbers for me. I need to have $137 for my foot and leg massage on the Wednesday we are there. I have that saved. I need $40 for an Epcot fireworks boat ride and $48 for a tour of the Disney steam train. I have those saved. I can now look at the calendar and plan to rent a car and get the brakes fixed toward the end of the month. Then, save for souvenirs. I'm pretty sure you will have fun!